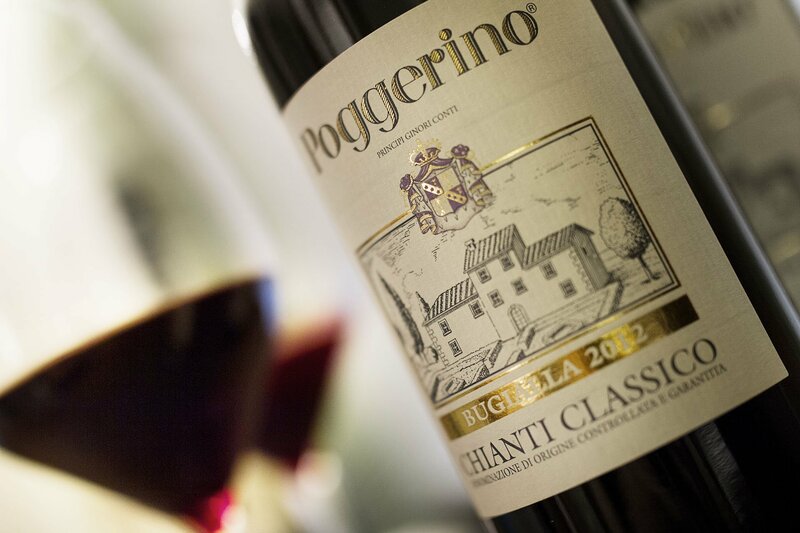 On the nose notes of blackberries, leather, cherries and red currant with a touch of liquorice and vanilla. After a careful selection in the vineyard the grapes are destemmed and pressed. The alcoholic fermentation begins without the addition of selected yeasts and proceeds at 28°/30°C. The entire process of vinification and maceration takes place in concrete tanks for approximately 55 days with pumpovers and manual punchdowns. In December the new wine is racked to casks of 20/25hl of Slavonian oak where the malolactic fermentation takes place. After ageing for 18 months the wine is assembled bottled. The wine is aged for a minimum of 12 months before sale. Bright ruby red colour. On the nose notes of blackberries, leather, cherries and red currant with a touch of liquorice, graphite and tobacco. Sweet and persistent tannins. Fattoria Poggerino Società Agricola di Piero e Benedetta Lanza s.s.